An award-winning writer and ordained priest, James Carroll is the author of 12 novels, including his most recent, The Cloister; and Constantine’s Sword: The Church and the Jews, a New York Times Best Seller and acclaimed documentary. Carroll will talk about his work during An Evening with James Carroll on Feb. 15 at Elmhurst College. 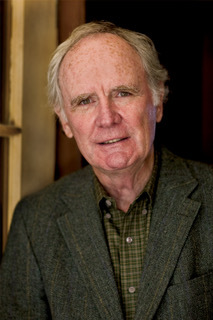 Besides his work as a novelist, Carroll is the author of eight works of non-fiction, most recently Christ Actually: The Son of God for the Secular Age, which The Boston Globe described as “a testament to the power of a critical, creative faith.” Other books include the National Book Award-winning An American Requiem; House of War, which won the first PEN-John Kenneth Galbraith Award; and Jerusalem, Jerusalem, which was named a 2011 Best Book by Publishers Weekly. An Evening with James Carroll will begin at 7:00 p.m. on Friday, Feb. 15, in the Alexander Room of the Frick Center. Admission is free and the public is invited. For more information, call (630) 617-5186.